The Cisco TelePresence MX200 G2 makes it simple to put high‑definition video conferencing within reach for everyone in your organisation. The MX200 delivers ready-to-use high quality performance at an affordable price, so you can make decisions faster and be more productive, efficient and innovative in your meeting space. 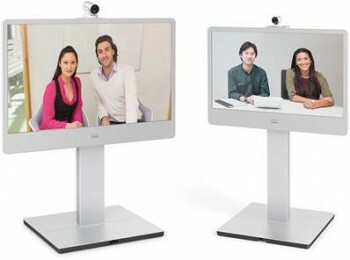 The Cisco TelePresence MX200 is part of a redesigned, second-generation, video collaboration series within the Cisco video room endpoints portfolio. Offering easy installation and deployment, cost efficiency for broad scale and ease of use, the TelePresence MX200 transforms your meeting room experience. Start making video calls in as little as eight minutes. Just place the MX200 device wherever you want it, plug it in, and login with your user details. The MX200 is designed for small and medium meeting spaces and huddle rooms. Cisco TelePresence MX200 and systems are designed and priced to enable the benefits of telepresence across many more teams and meeting rooms. It’s an ideal way to broadly deploy the Cisco TelePresence experience throughout your organisation, or make your first move into professional, life like, video communications. The MX Series allows you to turn any conference room into a high performance video collaboration hub – connecting your teams, customers, colleagues and partners face-to-face at a moment’s notice. Two Cisco MX Series ranges—the MX700 and MX800 Series performance line and the MX300 and MX200 Series value line—give you excellent flexibility to deploy and scale video across your organisation. Find out more about the Cisco MX Series here.